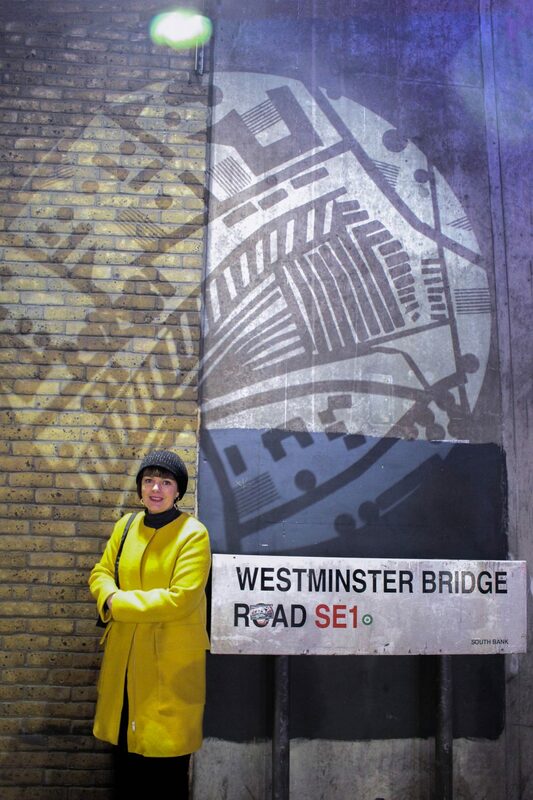 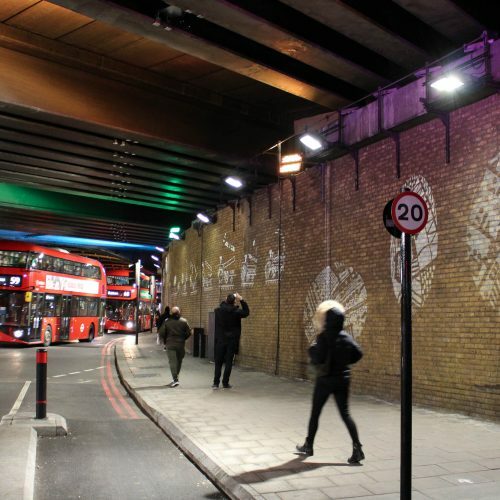 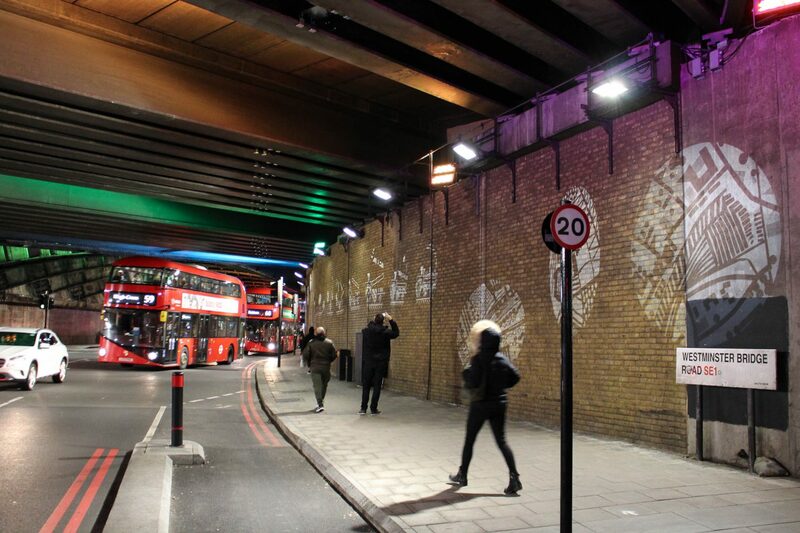 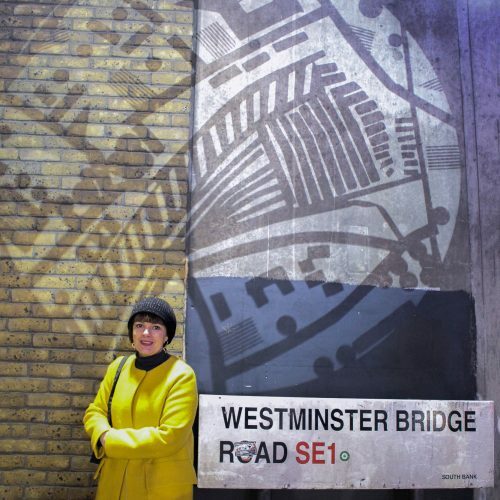 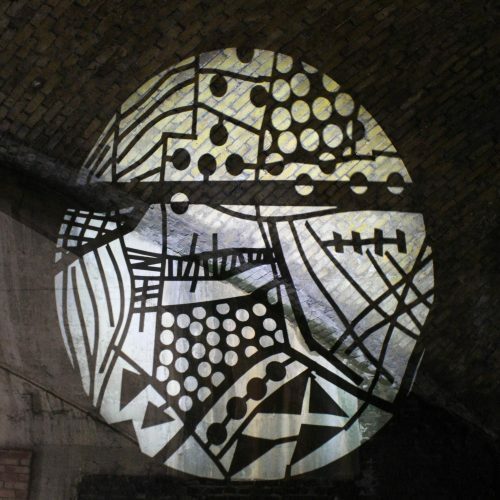 The projections run across Carlisle Lane and Westminster Bridge Road, the latter of which launched to coincide with the Lumiere Festival London. 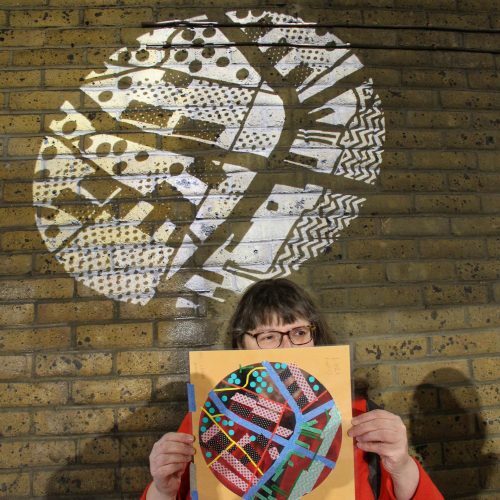 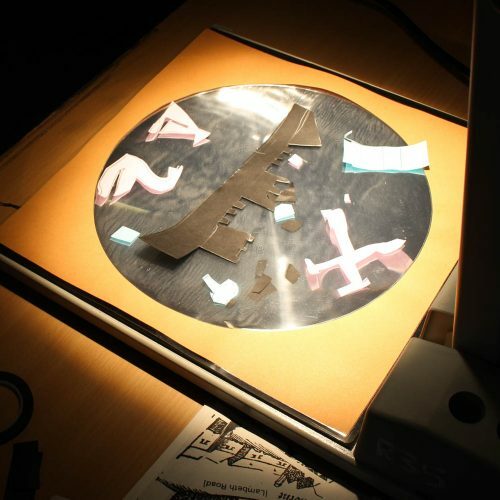 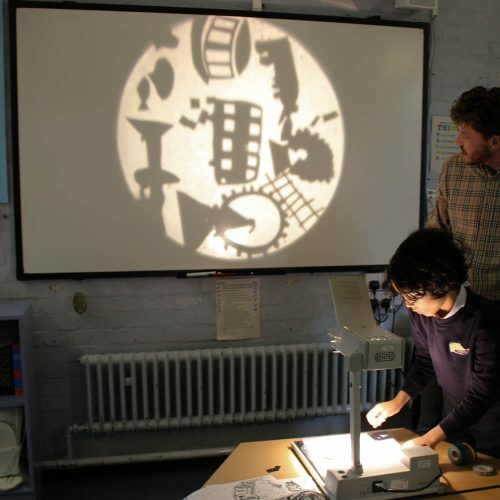 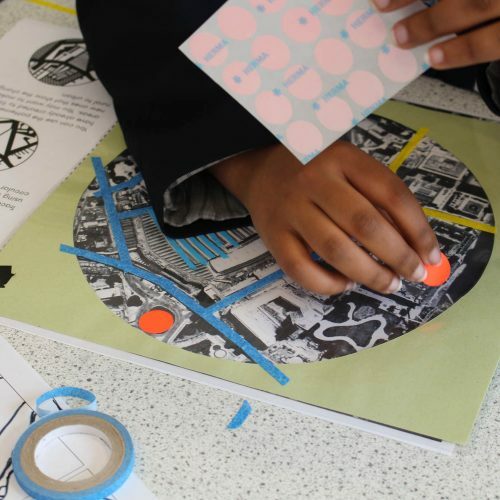 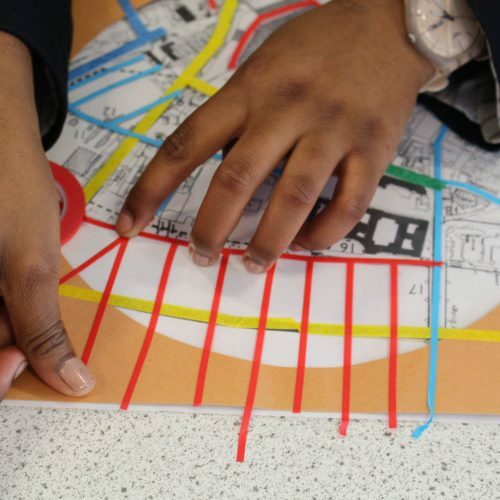 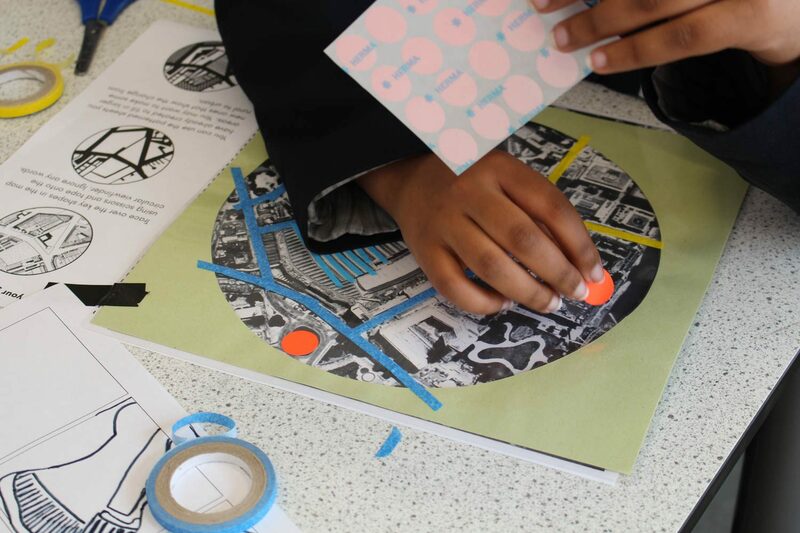 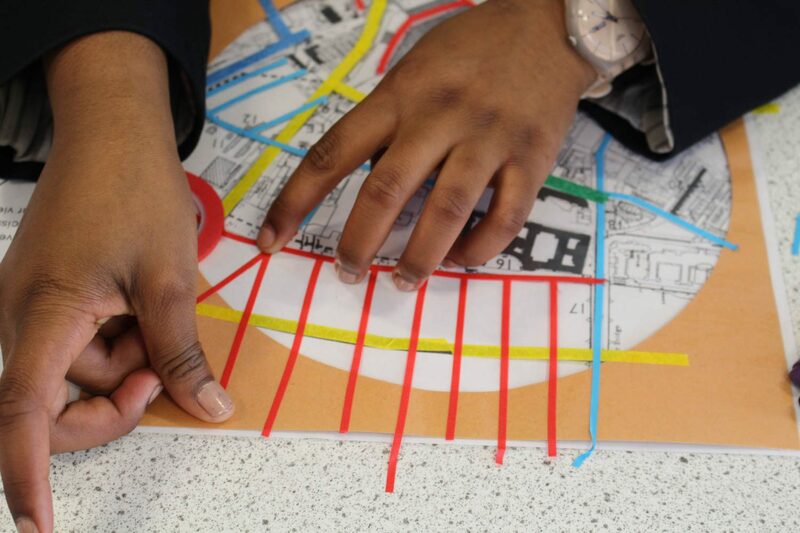 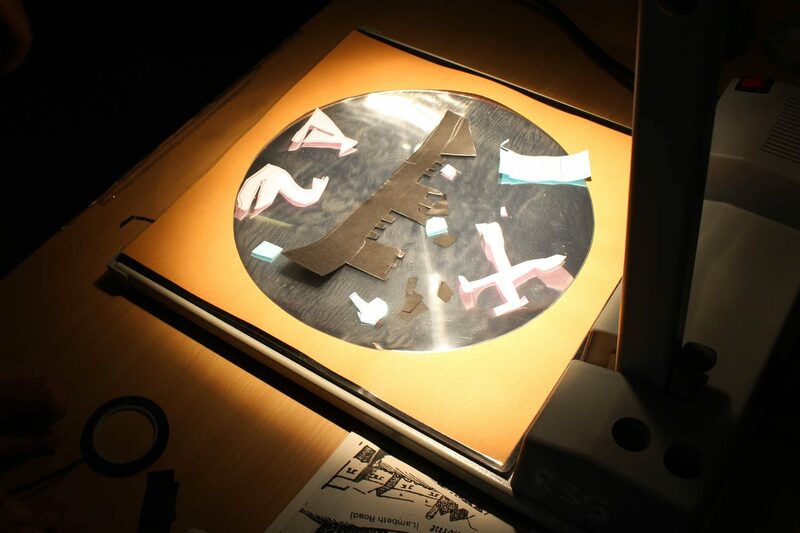 Using historical maps found in the Lambeth Archives, we developed a series of workshops using an overhead projector with a local primary and secondary school, Morley College and a parent and toddler group. 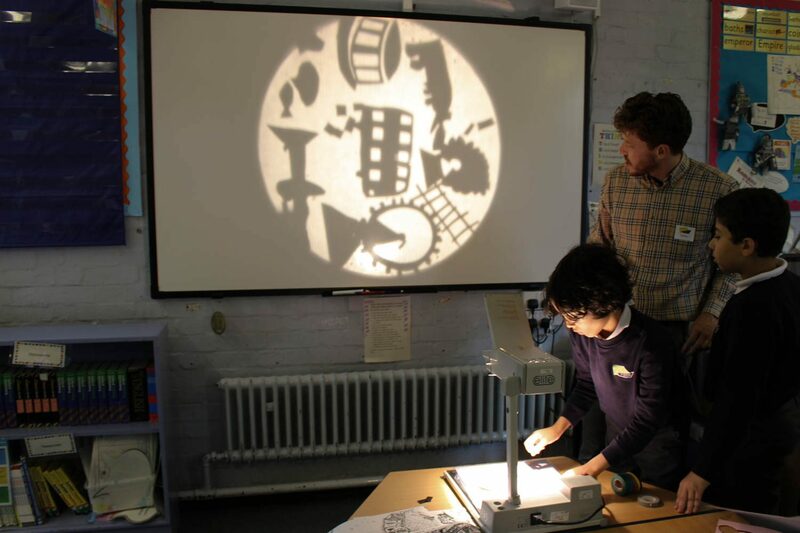 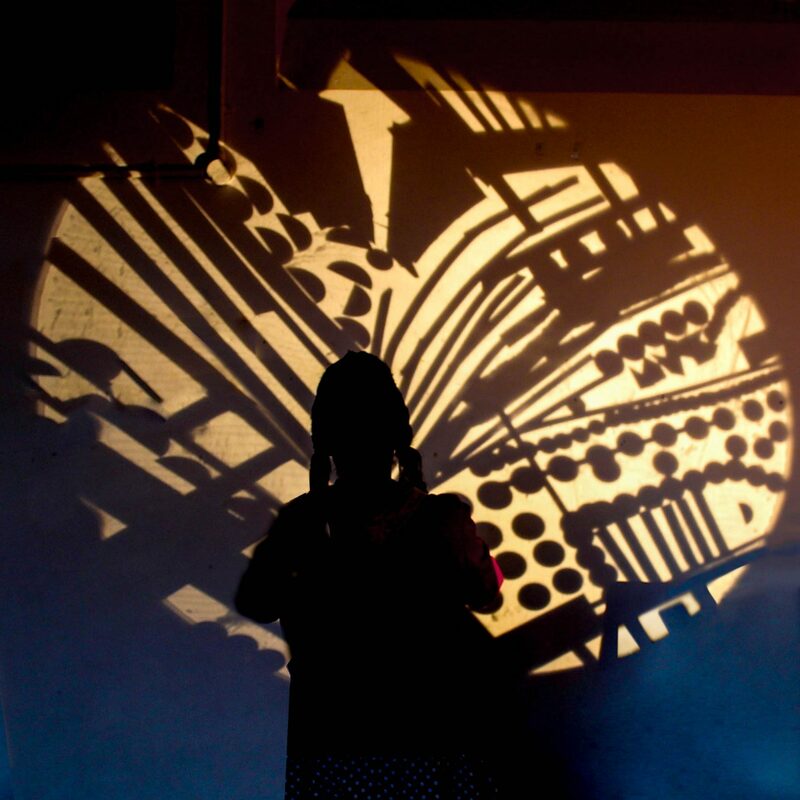 In our primary workshop the students acted as archaeologists in order to identify features on the maps which they turned into papercut artefacts. 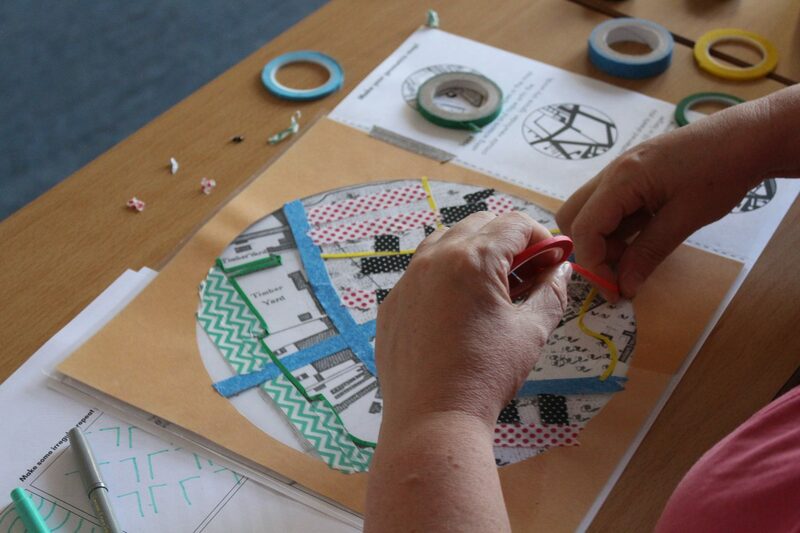 Our older participants looked at the forms of the maps themselves and used tape and stickers to create bold graphic patterns. 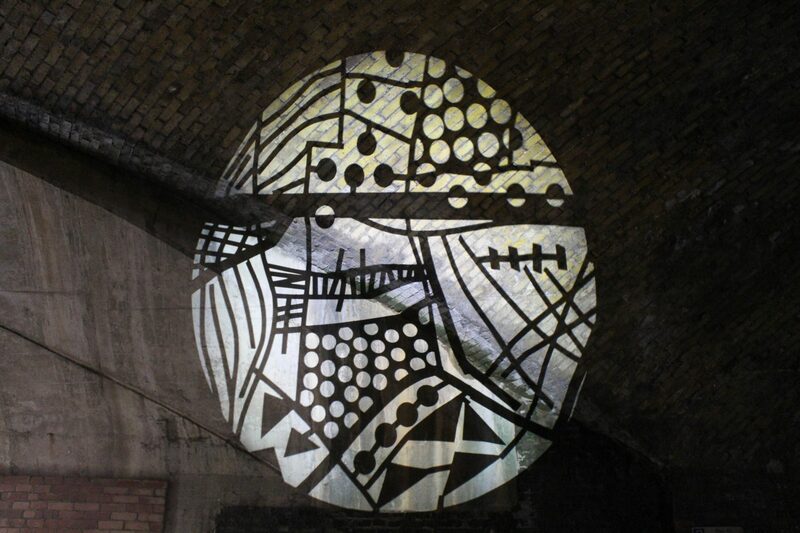 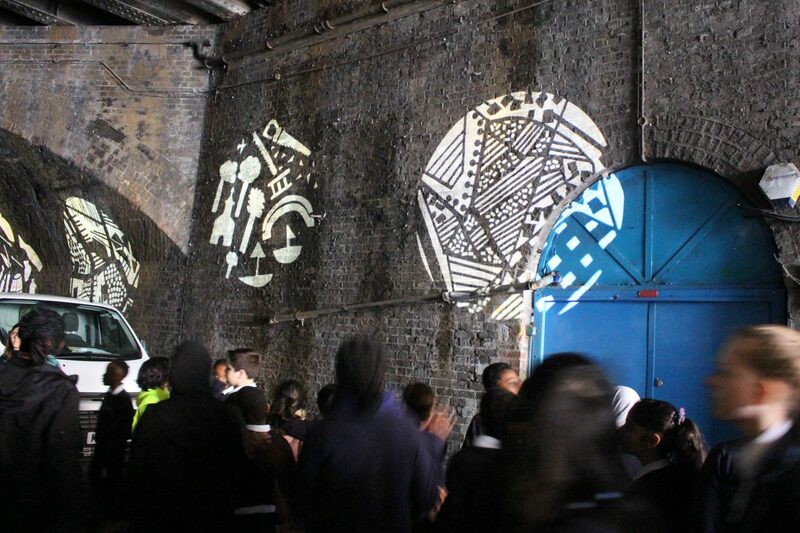 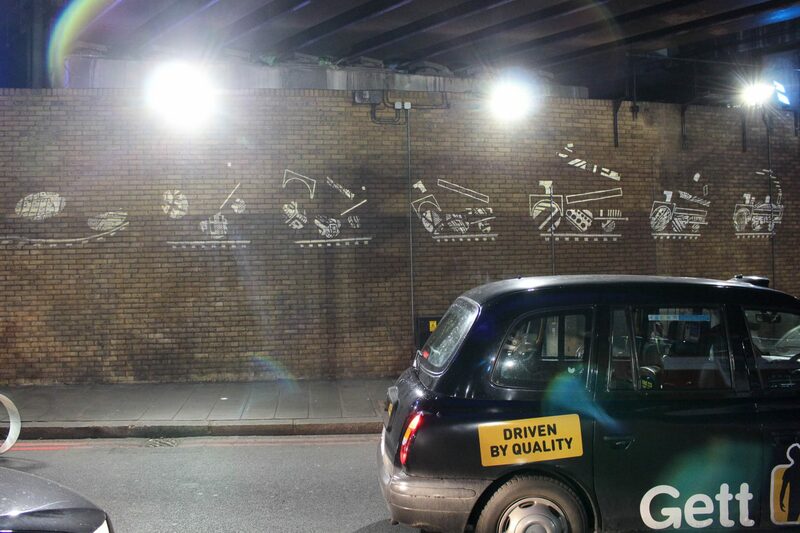 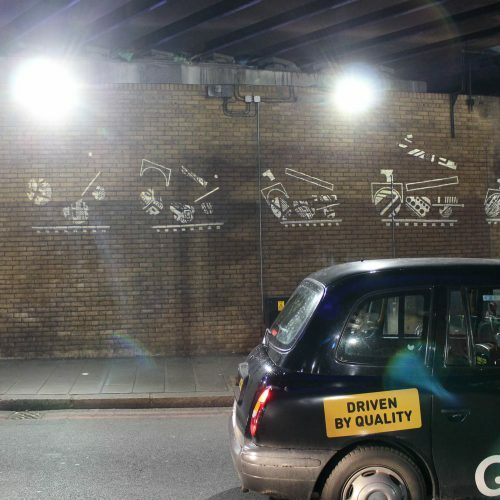 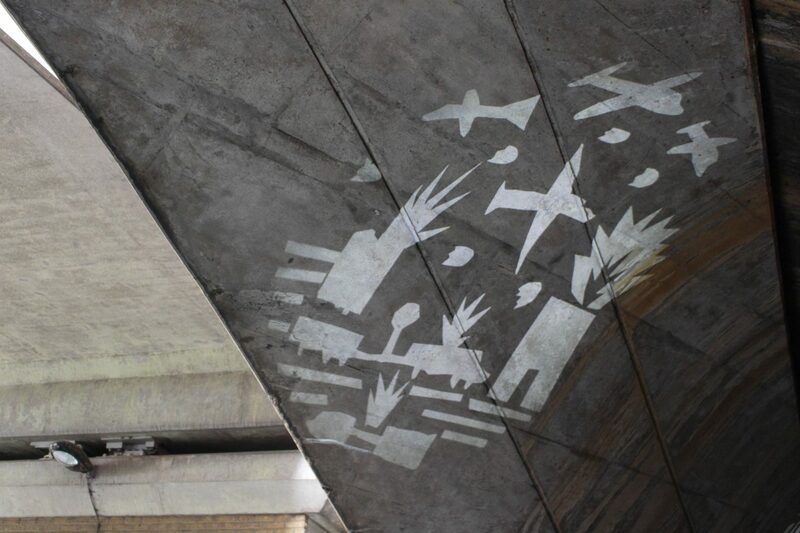 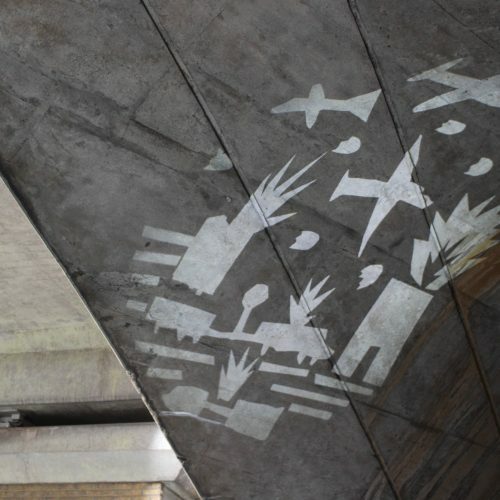 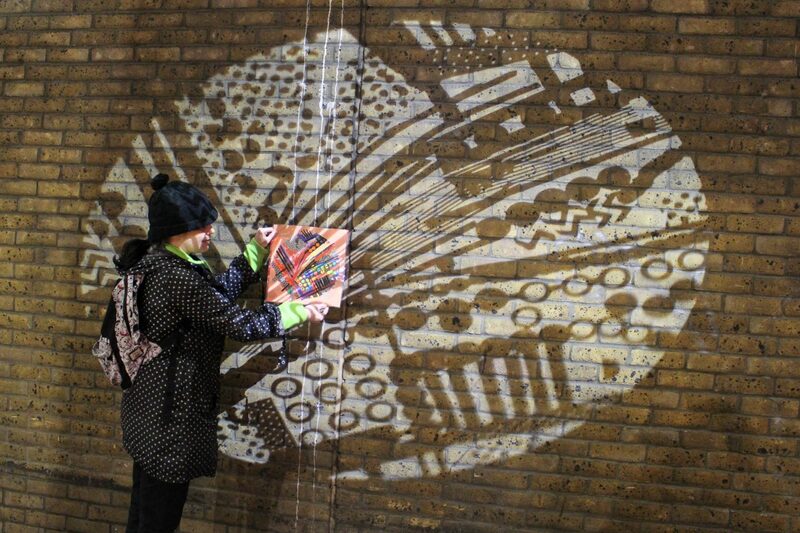 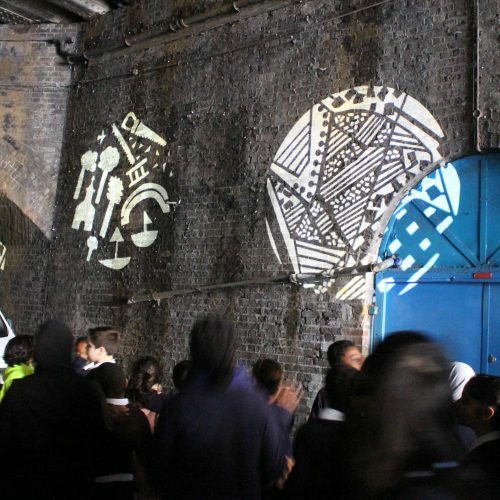 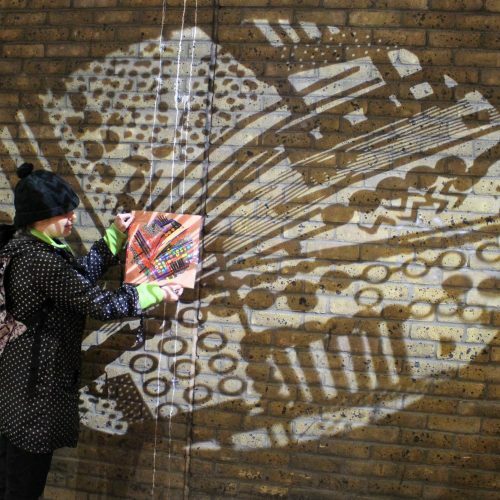 The outputs from Morley College were used to create a set of projections that animate to form a train, referencing the arrival of the Railways, a pivotal moment of change for the area. 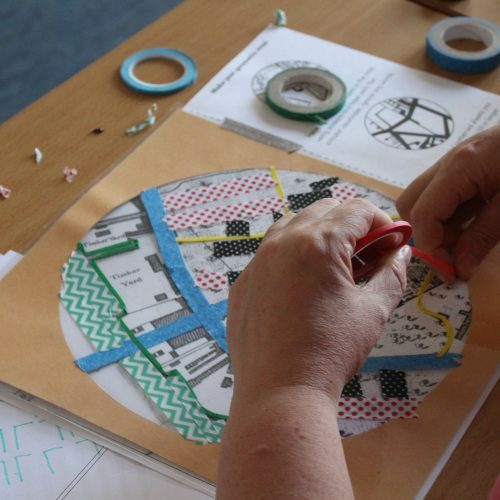 We used the printed maps to create a custom set of festive paper-cut snowflakes with the Friends of Archbishops park parent and toddler group.